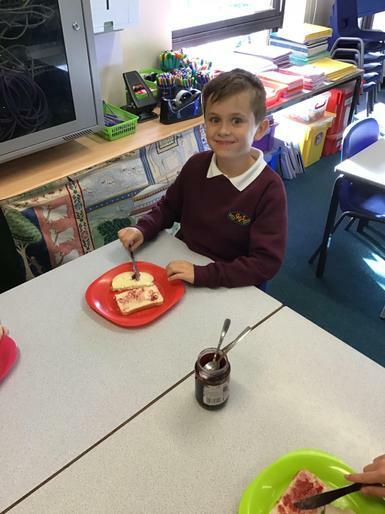 Today we have been learning about imperative verbs (bossy verbs). 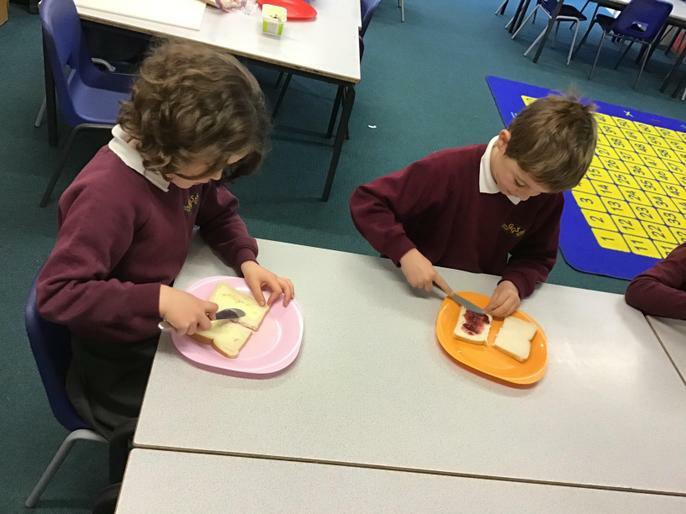 These verbs are used as commands such as instructions and methods. 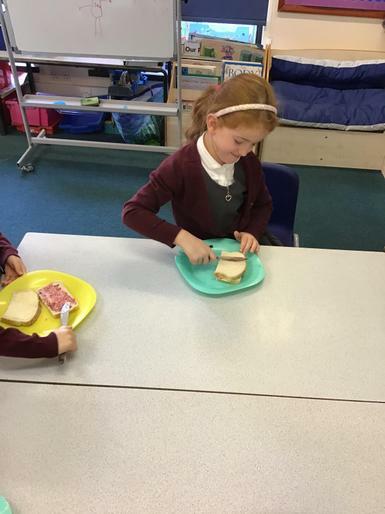 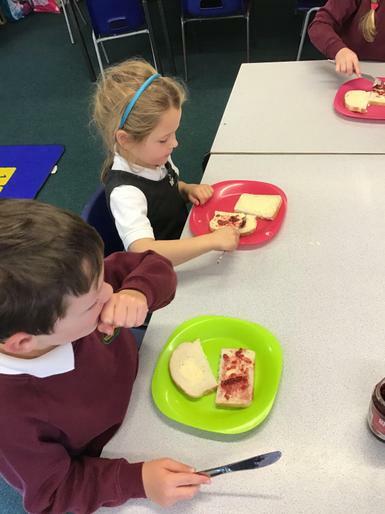 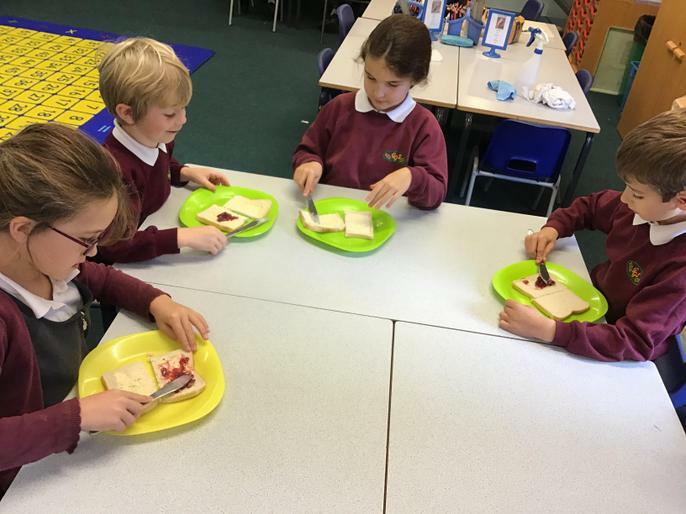 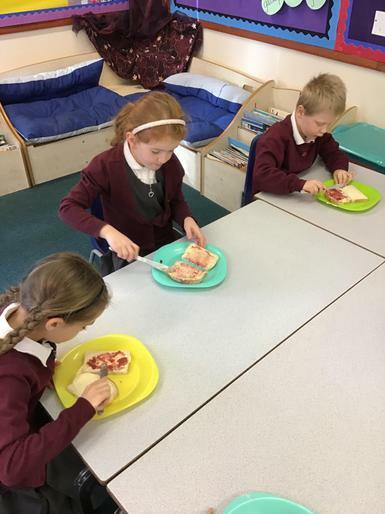 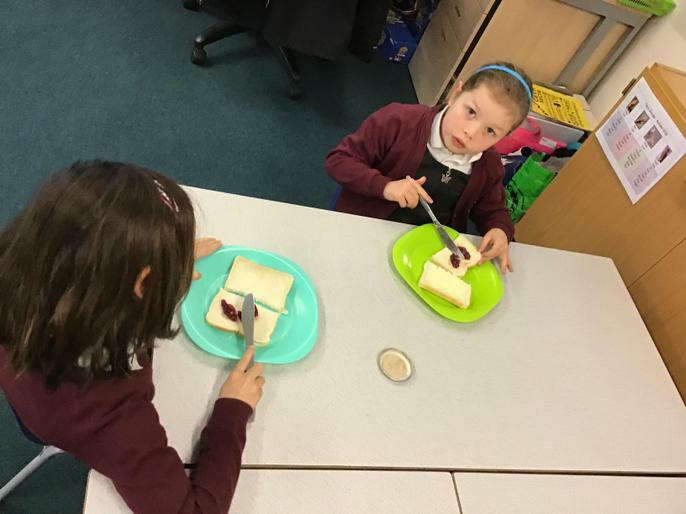 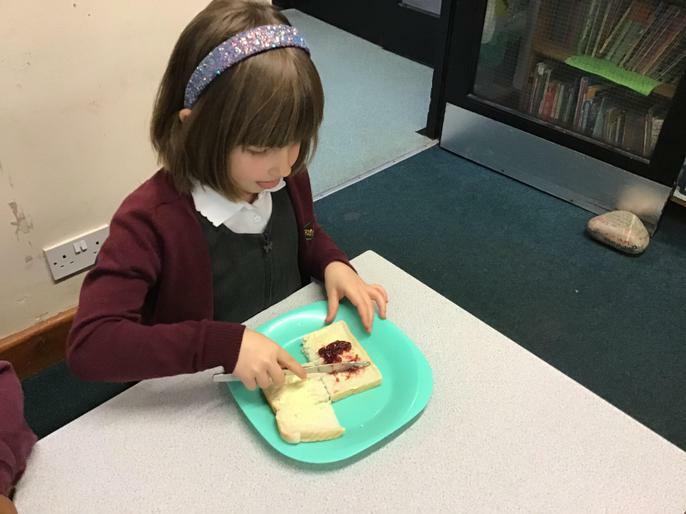 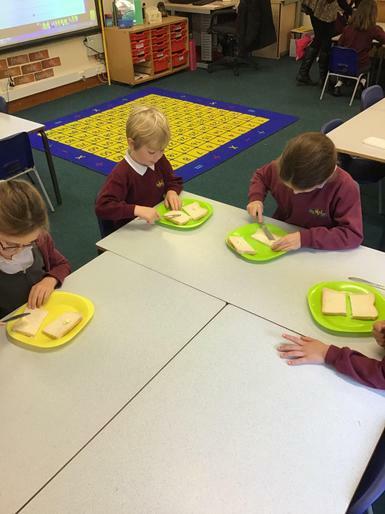 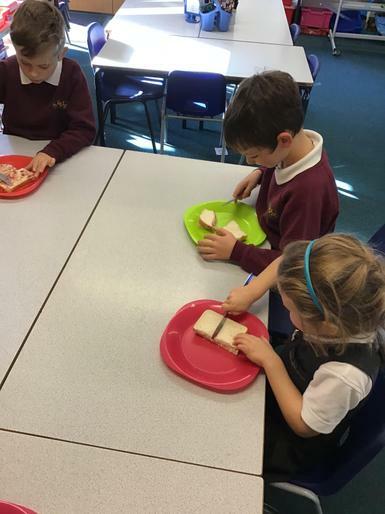 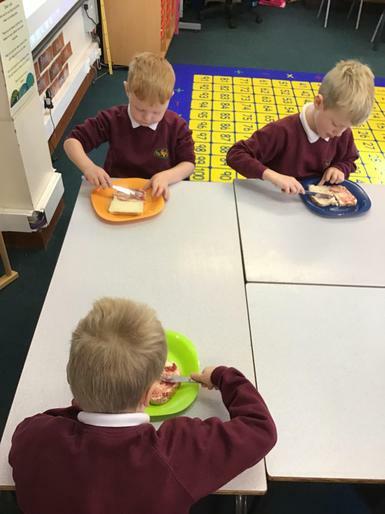 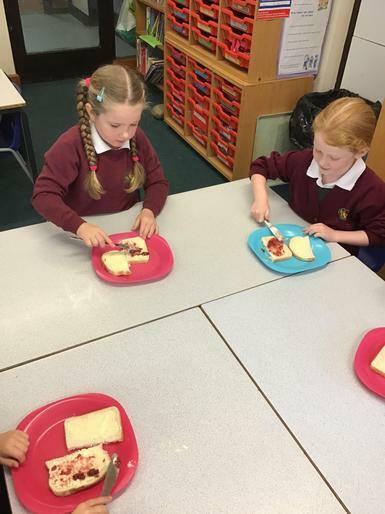 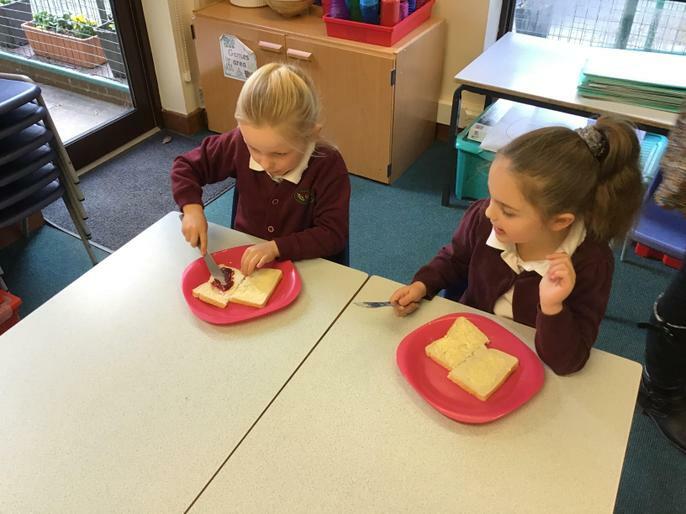 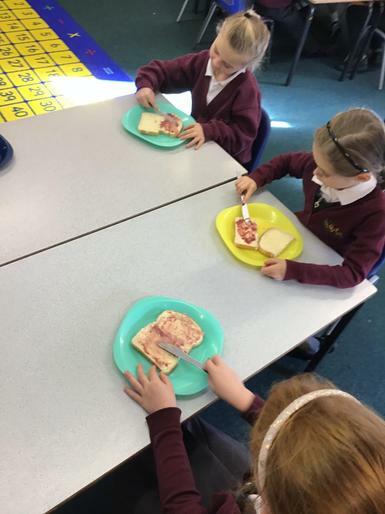 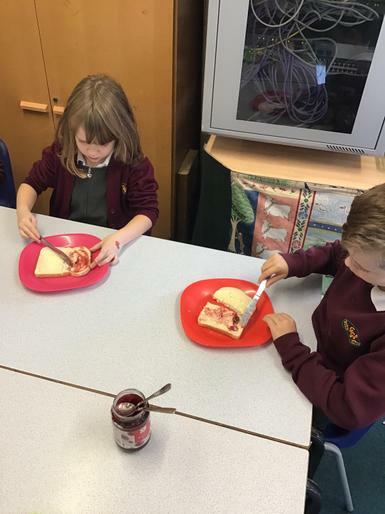 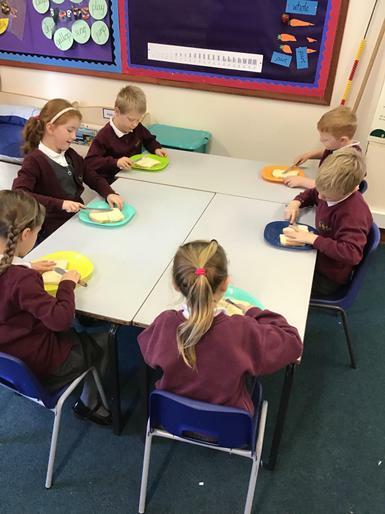 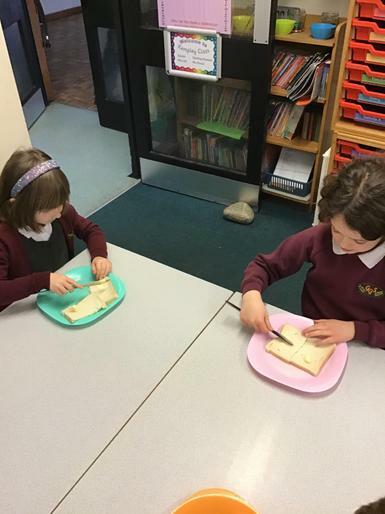 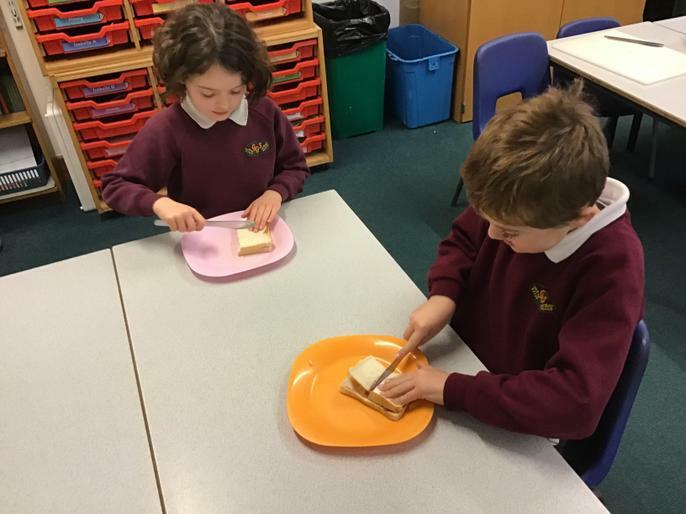 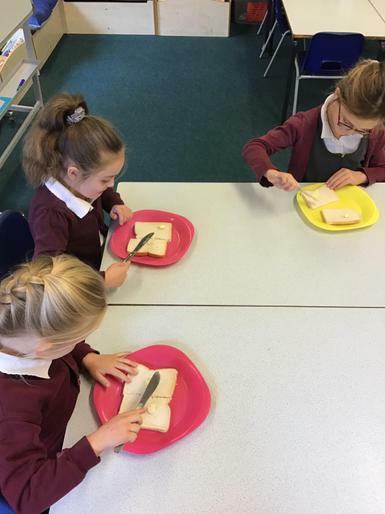 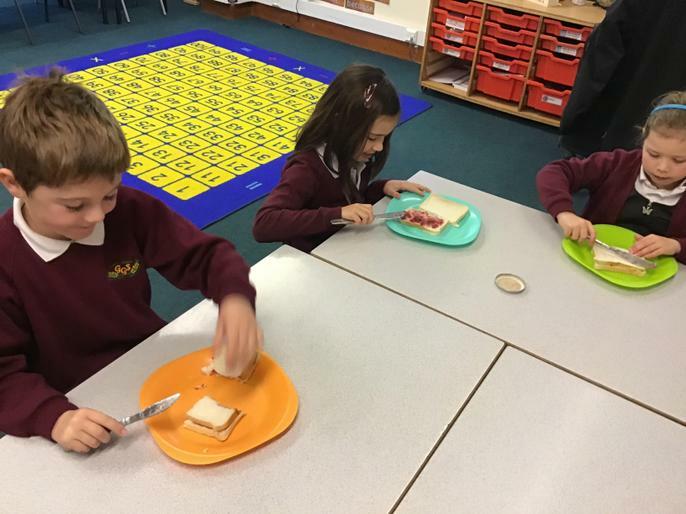 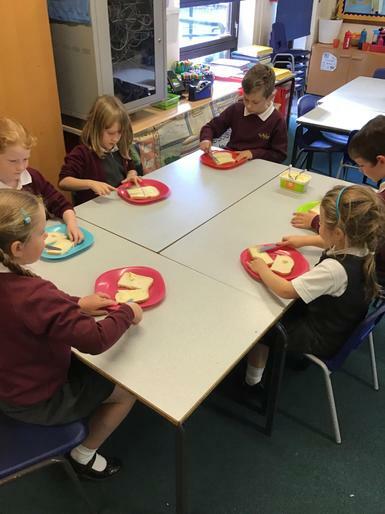 Today we followed instructions to make jam sandwiches. 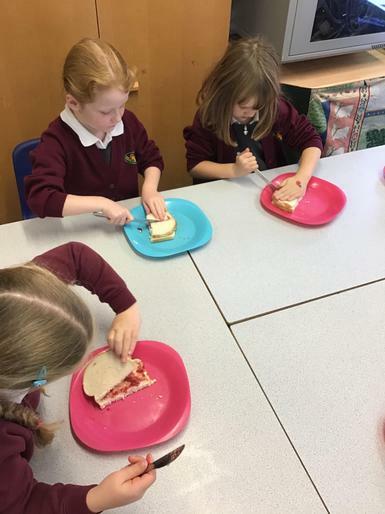 Below you will see photos of us eating our delicious jam sandwiches!